CHAMPOIN mare Winx has been drawn to start from the outside barrier against eight rivals for her farewell race, the Group 1 $4 million Longines Queen Elizabeth Stakes (2000m) at Royal Randwick on Saturday. Winx is attempting a fairytale end to her storied career, chasing a 33rd consecutive in and her 25th at Group 1 level. Her Queen Elizabeth Stakes opponents include old rivals Happy Clapper (barrier six) and Hartnell (four). Japanese raider Kluger is backing up from his Doncaster Mile fourth placing and has been drawn to start from the inside gate. He's Eminent, the classy former English galloper and likely Queen Elizabeth Stakes frontrunner, has barrier three. 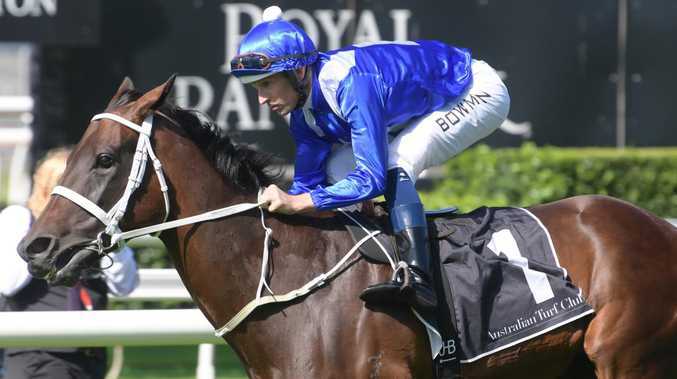 Winx is at $1.06 with Ladbrokes to win her third successive Queen Elizabeth Stakes and end her race career in triumph.